Like to party? Like Elvis? 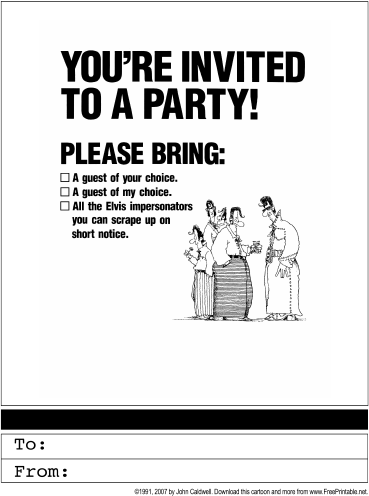 Send guests this funny card inviting them to bring the guest of their choice, or Elvis impersonators.